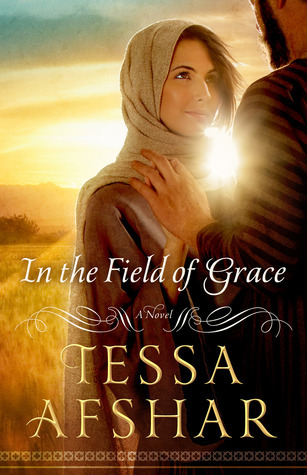 I spotted In the Field of Grace on Goodreads a few months ago, and I immediately wanted to read it based on the summary. So, I was really excited when I was able to pick up this book at BEA! I'd read another book by Afshar before, but my real interest in this book came from my love for the story of Ruth in the Bible. Growing up, Ruth was always one of my favorite Biblical women, but her story took on new meaning for me after going through a Ruth Bible Study in college. It was one of those moments where the timing was just perfect. 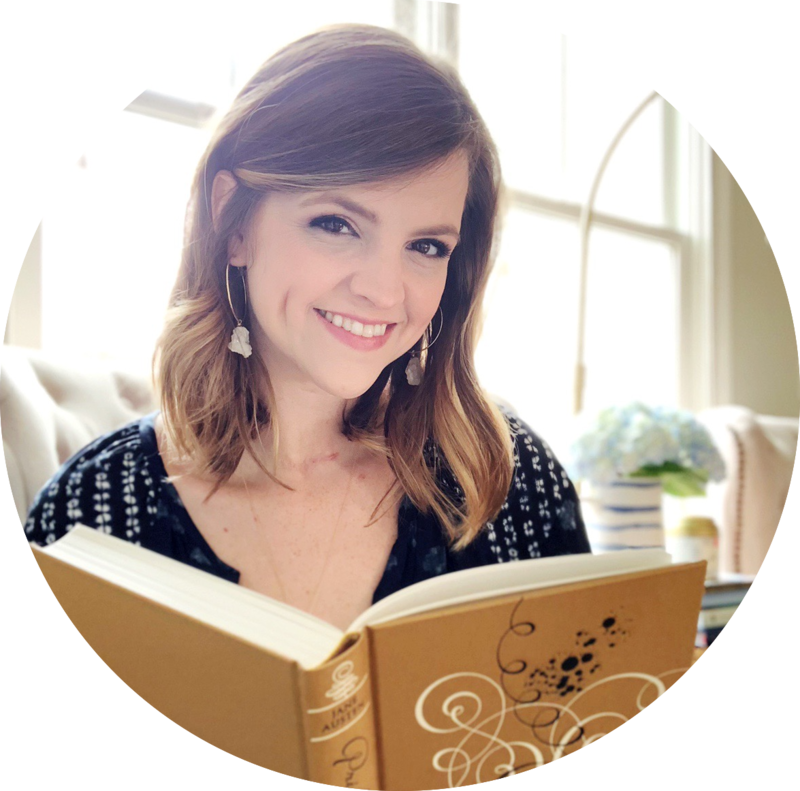 There was so much to learn from Ruth's story that I'd never noticed before, and the lessons were so applicable to my life at that point in time. Ever since then, it's been had a special place in my heart. I wasn't sure what to expect with In the Field of Grace. It's not a retelling - it expands upon the story introduced in the Bible and "fills in the gaps." It's obviously fiction, and the author takes creative license with the characters and their conversations, but the main details of the story match up to what happens in Ruth. If you haven't read Ruth, it starts with a woman (Naomi), her husband and their two sons moving to the country of Moab because there's a famine in Bethlehem. While there, her husband dies and her sons both marry Moabite women (Ruth and Orpah). Then, sadly, the sons die. Having lost everyone she loves, Naomi decides to return to Israel after she hears that the harvest is plenty. Ruth and Orpah plan to go with her, but Orpah turns back. Out of love for her mother-in-law, Ruth continues on. She is a foreigner in a strange land with no husband and no children, but there are big things in store for her. For the most part, I really enjoyed In the Field of Grace. The conversations felt a bit modern at times, but I imagine it's hard to strike a balance when you're telling a story like this one. Because it's based on a book of the Bible, most readers will likely have some familiarity with the story but the author likely wants to breathe more life and detail into the world. I appreciated that Afshar didn't really change any of the important details of the story, and I found most of the scenes she created to be enjoyable. Afshar also portrays Ruth's impact on King David and his son, Solomon, in the book's epilogue. I thought it was a really interesting idea! She makes it clear in the notes at the end that the details she added there were purely from her own imagination, but I liked the thought behind that story. My favorite thing about books like this one is that they often make the Bible come alive for me in a whole new way. It becomes easier to picture Ruth's grief at the death of her husband, her loneliness when she's rejected by people in Israel, her loyalty and love for her mother-in-law... Afshar certainly made me connect to the story in a new way in that regard! If I had one main complaint about the book, it's just that Ruth and Boaz seem a little too perfect. One of my favorite things about the Bible is that it clearly depicts that "all have sinned and fall short of the glory of God" (Romans 3:23). I don't mean in a depressing way. It's just that there is something so comforting about reading about the people God uses to fulfill His purposes and seeing that they don't always do the right thing. While In the Field of Grace highlights how God often works through the most seemingly unlikely people, it paints Ruth and Boaz in a near-perfect light. Ruth never thinks or says a negative thing, even when she's brought to her lowest. She seems to have an endless supply of patience, love and humility.I don't doubt that those characteristics are true, but I would have liked if I was able to relate to her more. Boaz, too, is depicted as though he's almost perfect. I think it made me a little less invested in them because I didn't feel they were quite complex enough. Overall, I really liked this book! It wasn't necessarily the favorite I hoped it would become, but I appreciated the way it brought the book of Ruth to life. It was a quick read, and it reminded me of why this is one of my favorite books of the Bible. I think it remained true to the message of the book it's based upon while adding creative details that expanded upon the story and offered a new perspective on it. If you like this type of read, I would recommend it! "So what shall I do? Drown in my longing for what I cannot have or anchor my feet to the joy that I do have?" *I received a copy of this book from Moody in exchange for review consideration. I was not compensated in any way for my review. 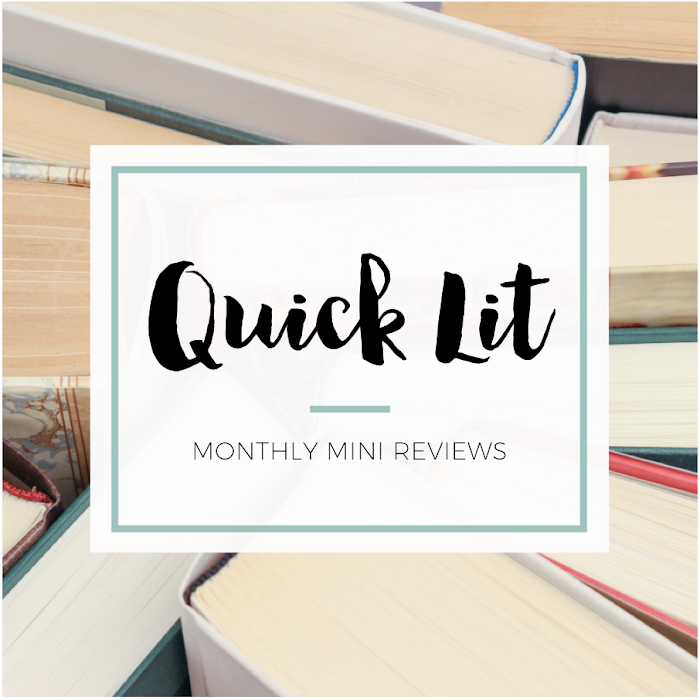 I've read a handful of Biblical fiction and always seem to really enjoy them. I don't know that I've ever read a book on Ruth though, but I do really enjoy her story, so this definitely seems like one I'd appreciate as well. I hadn't heard of it before now, so thanks for bringing it to my attention! Ruth is also one of my favorite stories from the Bible! (I also really like Esther's story.) But ever since I first read Ruth's tale, I was truly moved by her courage and her love and loyalty to her mother-in-law. I'm glad this story definitely retained the familiar elements of the Ruth story, even while adding a bit of a unique flavor to it too. This cover is so crazy pretty. I have this one on my list too.